Research has clearly shown that team building has a significant positive impact on teams that find it difficult to work well together. (1) Team building, as the name implies, involves helping employees and management alike learn how to work together as a team. Companies all over the world use a variety of techniques and strategies to help company workers get to know each other and learn how to solve problems, boost personal and collective creativity and work well towards achieving a common goal. Goal setting and role clarification are particularly effective, as they help each employee better understand his or her individual role, inspire people to set goals, increase motivation to reach company and individual goals and reduce conflict in the office. Teams of ten people or more tend to benefit the most from team building activities; however, such exercises are still effective when used for small groups of people. 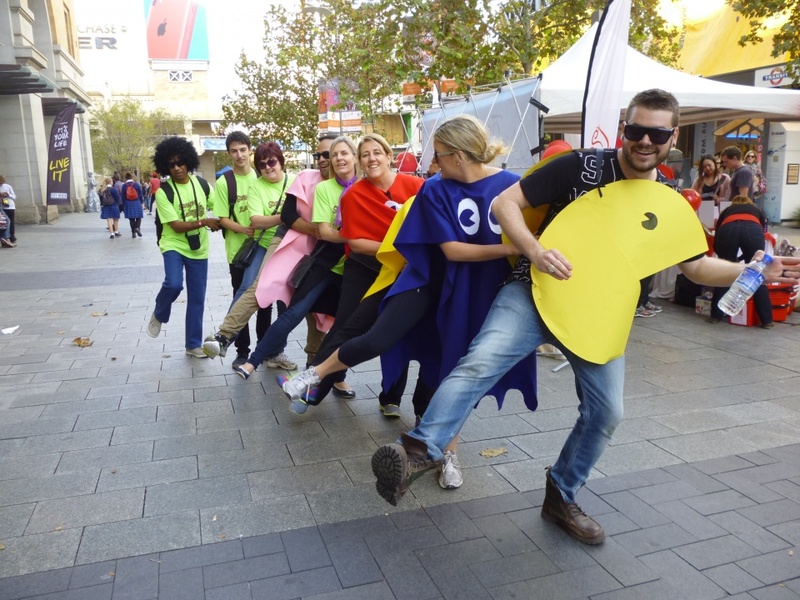 What Exactly Does Team Building Do And Does it Work? The impact of team building is felt in many ways. The following list of benefits that can be gained is by no means comprehensive, but it can give insight into why sacrificing time, resources, and even money for the sake of team-building is well worth it. Team building, when done properly, fosters friendships at work. Research has shown that having a good friend at work can boost one’s engagement level by up to 50%. (3) Team building exercises that are effective in helping employees make friends with workmates include a weekly or monthly “Happy Hour”, a company volunteer project and seminars hosted in turn by various employees. Another important aspect of team building involves building trust between office supervisors and managers and those who work under them. A 2015 Gallup study shows that a highly engaged leadership team can boost employee engagement by up to 39%. Company leaders can improve engagement by setting individual and company goals in collaboration with employees, being transparent about company progress and creating a company culture. Good team-building exercises that would boost manager-employee friendships include group challenges with mixed teams of managers and employees who would be required to work together as equals to solve a problem or win a game. Team building activities that require team members to communicate with each other to resolve a problem or win a competition can be effective in helping employees become effective communicators. At the same time, these activities should be coupled with office policies that promote team bonding. Team building improves creativity in two ways. First of all, it puts employees in a new environment and requires them to perform tasks and/or solve problems that are not a part of their day to day work routine. Second, creativity-based team building exercises make it clear to employees that company managers and executives value creativity. 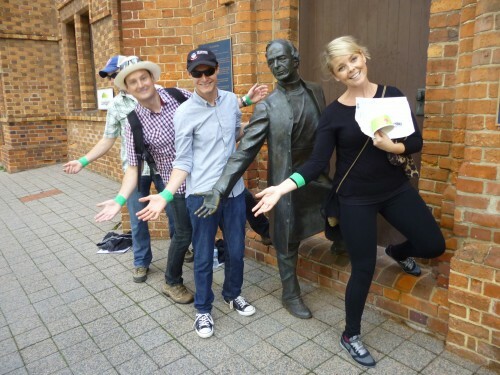 It can be worth it for a company to hold monthly or annual team building events at a venue that is far removed from the office environment. A hotel conference room can be a good place to hold creativity-based team building games and activities; alternatively, an outdoor setting can be ideal if all employees are physically fit and able to engage in active team sports and activities. While hiring the right employees is certainly important, it is clear that choosing good people for your company is not the only key to success. Helping your employees work well together can not only boost your bottom line but also reduce workplace friction, prevent good people from leaving your company, help your company solve problems more easily than would have otherwise been possible and even lead to the creation of new goods and/or services that will propel your company forward into the future. Team building events help employees get to know each other, learn how to work together and make it easy to communicate about workplace issues. However, knowing which team-building strategies are right for your company can be challenging. That is why it can be a good idea to work with professionals who specialize in team building events, activities and programs. Getting professional help in this field will ensure that your team is effective and that employees enjoy working with you and their colleagues to try new ideas, solve problems and reach company and personal goals. If you would like to speak to us about how we can help you with your team, Contact Total Team Building today! Teamwork is a commonly used word that is thrown around in personal and professional settings daily, but what does it actually represent? There is a high chance you are either part of a team currently or have been a team member at some point in the past. Does being in a team automatically mean there is teamwork happening? Teamwork can be defined in many different ways, but probably the most effective states that teamwork is a united sense of drive among close associates towards completing goals and meeting responsibilities. Not every team has teamwork as there are many teams where people are not enthusiastic to work, do not work well together, and cannot agree on nor accomplish the goals set. Now that we know what teamwork refers to, the next question to ask is how can teamwork be created and encouraged? One of the largest influences on teamwork in the corporate and personal world is leadership. Leadership is essential to making teamwork into a reality. Negative leadership traits can ruin a team and destroy all sense of teamwork they possess. Adversely, positive leadership traits can encourage teams to work together seamlessly and achieve greater goals. 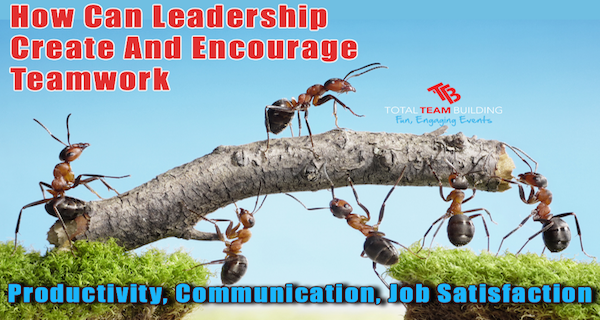 In the professional setting it is team leaders, managers, business owners, executives, and other leaders who are responsible for the teamwork environment in their place of work. Because of the amount of influence a leader can have over their employee teams, it is their responsibility to do whatever is reasonable to create and promote teamwork. There are many ways that a leader can do this simply by molding their leadership strategies to fit the needs of the teams. These are a few of the elements of leadership strategy that can most highly affect teamwork. A change in how decisions are made for a team can be useful in making the team work together better. In certain scenarios, leaders must make quick and decisive choices or else they risk grave consequences to the business. Otherwise, democratic decisions that include all team members or else team representatives can foster a sense of belonging and ownership amongst the team members. If they know their opinions and input are valued when decisions are being made, they will have a greater sense of responsibility for the ongoing team projects. This sense of responsibility to the goals of the team and to the other individual members is a necessary ingredient in teamwork. Team members should be receiving accurate, well thought-out feedback from their managers on a regular basis. Setting a level of accountability helps team members to know that the team is serious about operating effectively. It also lets each department or individual know what areas they can improve in order to benefit the company and the team. Without this knowledge it becomes difficult for team members to know if they are helping or hurting the team. It also helps to set a level of trust that everyone is doing their part. In order to produce the strongest results, teams should be oriented around the vision. This focus must come from the leader. As a leader, it’s important to bring up the vision in every discussion or meeting. How will our end goal be affected by this decision? Are these new changes beneficial to the vision? Simple questions like these help the whole team to align themselves into the same mindset of placing customer needs above all else. Once mindsets become aligned, a sense of teamwork can easily develop as each member of the team is concentrating on meeting the same end needs: customer satisfaction. Praising general team successes and individual successes can promote a greater unity among team members. If members do not get any recognition when they put forth greater efforts, they can become discouraged and disenfranchised from the rest of the team. Leaders should be giving appropriate and deserved recognition to their team members. Remember that their success is your success as a leader! Citizenship behaviors are defined as those non-mandatory behaviors that are done for the sake of helping someone out. Where there is good teamwork, employees have a tendency to assist one another more often with difficult or tiresome tasks. This makes every team member feel more valued and increases their sense of belonging in the team. It can also reduce overall stress levels for those within the team. Teamwork always leads to greater productivity. When all or most of the members are dedicated to reaching goals and accomplishing the team vision, they can more easily combine their strengths to overcome weaknesses and work more effectively and efficiently together. While some teams are made within only a certain department, many professional teams feature members from separate departments that have different functions within the company. When these people can learn to communicate properly they can all share their needs, perspectives, and ideas in order to come up with a better plan on how to organize team efforts to suit all departments. Many studies have shown that employees who are part of well functioning teams are much happier with their work lives. They can feel less drained after a day of work and gain a deep sense of satisfaction from what they are doing with the teams. If the last decade of business research has taught us anything, it’s that if you want to know how to increase productivity, raise job satisfaction, and create a healthy working environment you need to learn about creating and managing a team. Effective, high performance teams are the one thing that almost all top companies have in common. Not all organisational teams can be considered as high performance teams. High performance teams are those that are committed to working together in order to accomplish the business goals, individual goals, and personal goals. These teams are able to improve your business in a way that no ordinary company team or individual workers would be able to. In this article you can learn about how to make your own high performance teams and how to manage them in a way that keeps their performance at an elevated level. Not every team has the capability to be a good team. There must be a proper mix of people and talents if you intend to create a team that will perform well. 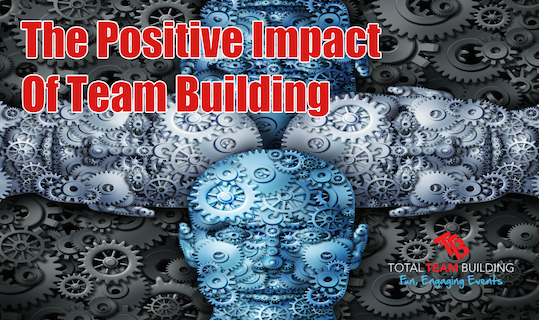 Building a team can be the hardest part of team management, as you must be able to make a calculated guess at how certain members will work together. If a particular member is not a good contributor to the team, you must be able to evaluate if they are a necessity in that team and figure out if you can replace them or not. Look for the best workers inside and outside of the company. High performers may take some time and some work to acquire, but the difference between them and an average performer can make a lot of impact on how well the team works. Taking the time to look for high performers to add to your team is a good way to use your time to create a great team. Find workers with skills that match your team’s needs. Don’t add anyone to the team unless their knowledge and skills are needed for the work. If there are already enough team members working in those same skill areas, you may create a frustrating situation where there is too much labor and not enough work to be done. Nothing creates disgruntled employees faster than not being needed for the job. Prioritise a healthy teamwork environment to achieve results. Instead of trying to force new members onto a team, think about what s best for the team. Will this new member add or detract from the current teamwork level? Are they a good fit with the other members? The team mix is very important if you want to have a great team, so think about this before you add a new team member. Remove or replace non-productive team elements. On the other hand, if someone on the team is not being productive and not performing well, it might be a good idea to remove or replace them. When other members have to put in extra efforts to cover the incomplete work from one member, they can easily become very dissatisfied with the team itself and the whole performance level will be brought down. Even if you have created the “perfect” team, your job is not over as a manager. You are now responsible for managing that team in a way that will help them to stay productive and keep up the high performance. 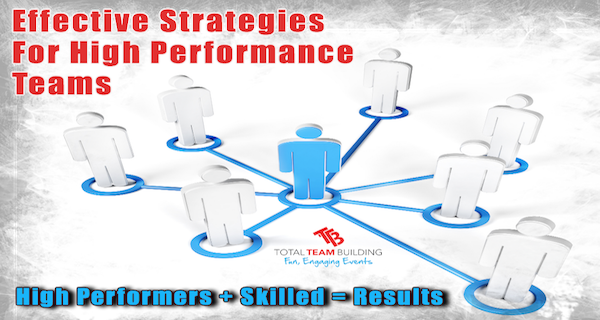 Many times if a high performance team is managed improperly their performance can suddenly become quite average or even poor. It’s up to you to make sure that you are getting the best results from your team and creating an atmosphere in which high performance teamwork can thrive. Give recognition and credit when it is due. When the entire team or any individual on the team does great work or goes beyond their responsibilities to get something done, acknowledge their efforts. This can be accomplished by something simple like audible recognition during a team meeting or something more such as an individual or team reward. Delegate responsibilities and avoid micromanagement. One of the worst things you can do as a manager is to try to manage everything the team is doing. If you want your high performers to do the best job they can, you have to let them have some space and responsibilities. Delegate some tasks and expect them to be done well; there is a good chance that your high performance team will not disappoint. Involve team members in the goal-making process. How can you help employees become more engaged in the work that needs to be done? By including your team members in the process of making goals, they will know that their thoughts and opinions are valued by the organisation. This can help increase employee engagement in the goals of the business. Create measurable progress assessments and keep team members accountable. This step goes hand-in-hand with delegation and goal-making. You will want to make sure there are measurable performance matrixes set up so that each employee can know what they have accomplished and what still needs to be done. Doing this will help you as the manager make sure that work is getting done by your team without any micro-management from you. It also allows team members to keep themselves and each other accountable for their work. True engagement in the work means that employees must be able to see how the work they do actually affects the organisation as a whole. Goal transparency can help with this. To achieve goal transparency you should be able to show your employees what the strategic goals of the organisation are, the operational goals of your sector and other sectors of the business, and then demonstrate in a logical way how these things all work together to improve the business. Give useful and relevant feedback. Make sure your employees always get the necessary feedback to perform well at their job. If they do not know that they are doing well or poorly, there is no way for them to be confident in their work. Feedback can help your team members become confident that their contributions are relevant and appropriate, giving them a greater sense of being appreciated and useful. Both creating and managing a team are important skills to learn if you want to keep a high performance team in your organisation. If you cannot create a good team mix, it’s highly unlikely that any amount of great management will turn the team into high performers. On the other hand, you could put together the perfect mix of people, but due to mismanagement they might become disgruntled and highly dissatisfied with the work, leading them to do mediocre work as a team. For the most ideal results, you’ll need to create a good mix of people for your team and then adapt your management style to deal with the team’s needs most effectively. If you can effectively apply these tips, you may be able to create and manage your own high performance team in your business.